I am an oil painter, and I love to paint people. I enjoy the challenge of capturing someone s mood or personality on canvas. 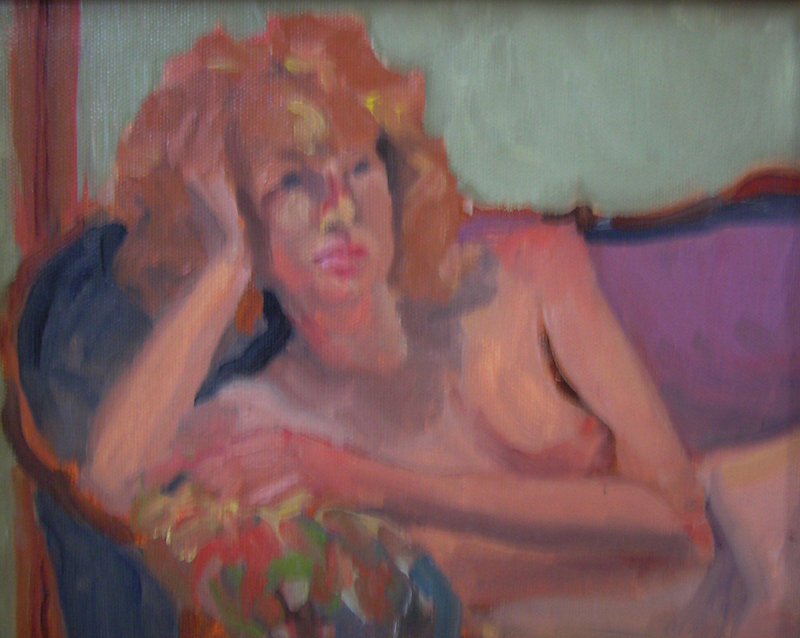 Painting from life is exciting, and it s great when a group of people are together painting the same person. You can learn so much from each other, and the different interpretations are amazing. I also enjoy painting en plein air. I love the texture, smell and colors of the paints. I get taken back to my teen years when I open a tube of paint and the scent of the linseed oil hits me. This is the medium I enjoy. I have had some instruction throughout the years. I have taken classes and workshops with some very talented local artists and have spent some time taking classes at the Fleisher Art Memorial, but other than that, I have no formal art education.